A consular post was first established in the Philippines, then a Spanish colony, in 1844. Spain relinquished the islands to the USA in 1898, and the country acquired self-government as a Commonwealth of USA in 1934. 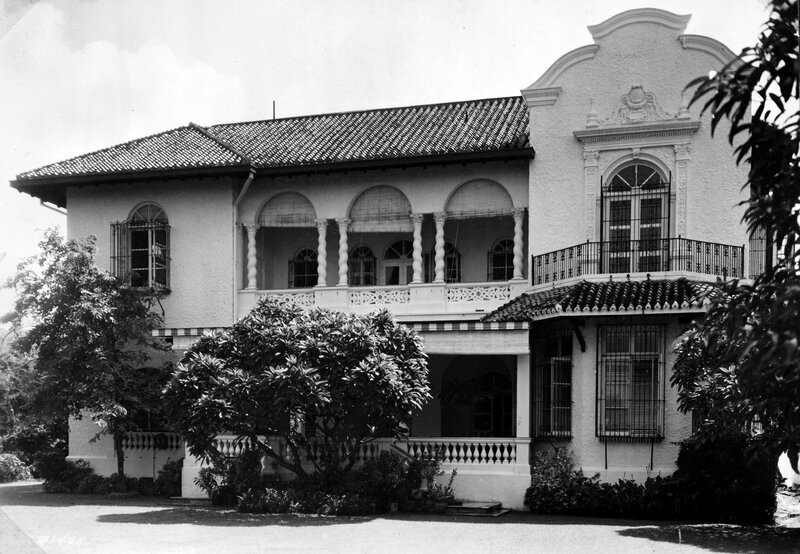 It was occupied by the Japanese 1942-45 and achieved independence in 1946, when the Post became a legation: its status was raised to an embassy in 1954. 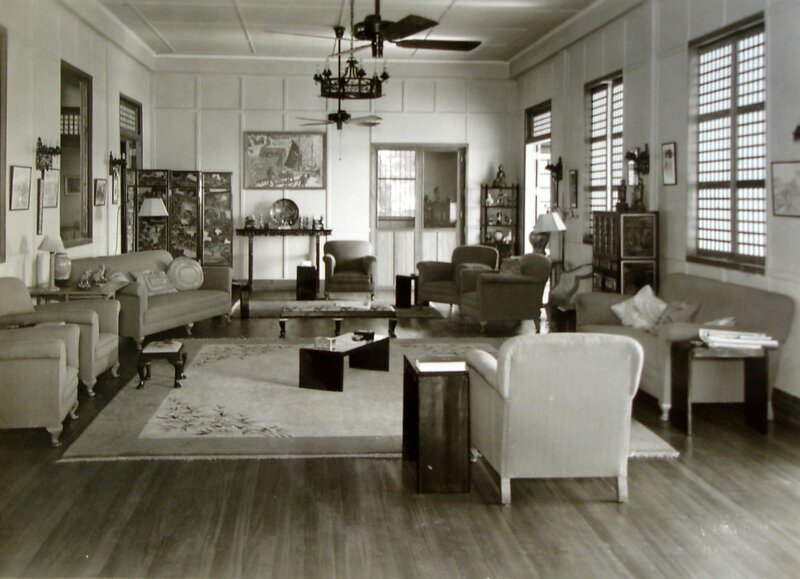 In 1920, the consul-general, Thomas Harrington, who lived in a cramped rented house that was both his home and offices, began to complain about his conditions and hoped for a new house. 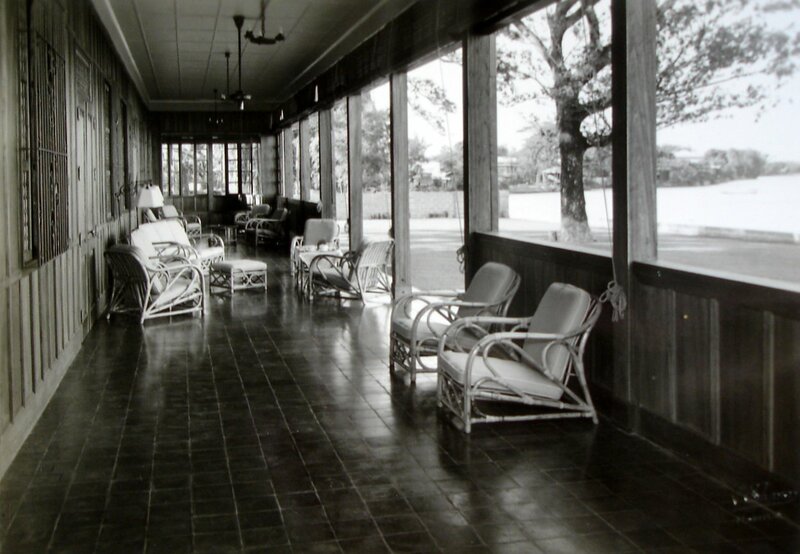 He moved to Baguio, the colonial hill station, during the hot months to ease his discomforts. The inspector-general of consulates recommended in 1927 buying land and building but nothing happened before Harrington left Manila in 1935. His successor Arthur Blunt, with the support of James Wynnes, the Office of Works architect at Shanghai, argued to London, which had no funds for purchases, that a developer deal with a local company would be the most promising way forward: Wynnes would do the outline design and the developer would fund the construction in return for rent. London, including the Treasury, agreed and the project worked out well. The developer was Sing, Yee and Cuan Incorporated and their selected site beside the Pasig River, of about 4,500 square metres, was on Lots Nos. 9 and 11, Block No. 2, Santa Clara Street, District of Santa Ana. The lease was signed with the Office of Works at the time of completion of the house in March 1938. The resulting design was quite innovative: a simple plan with the main rooms on each of two floors facing the river behind full-length verandas, and a modern approach to detail. It was all brought together in a design and construction environment that reflected over thirty years of American tutelage. 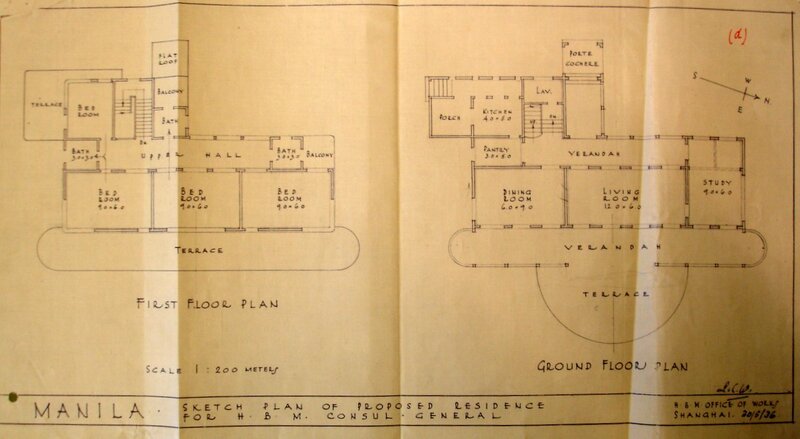 (The developer’s architect titled his drawings as the house for the Consul-General of the British Empire.) Blunt was succeeded in 1937 by William Turner, who took a great deal of interest but whose health fell away and he did not want to move into the house before his imminent retirement towards the end of 1938. Turner’s successor, Stanley Wyatt-Smith, moved into the new house in late 1938 but did not like it, arguing that the location was no longer fashionable and the river flooded each year. He and his family were interned by the Japanese occupation forces in 1942. The house was destroyed by looters not long afterwards, and the lease appears to have lapsed. 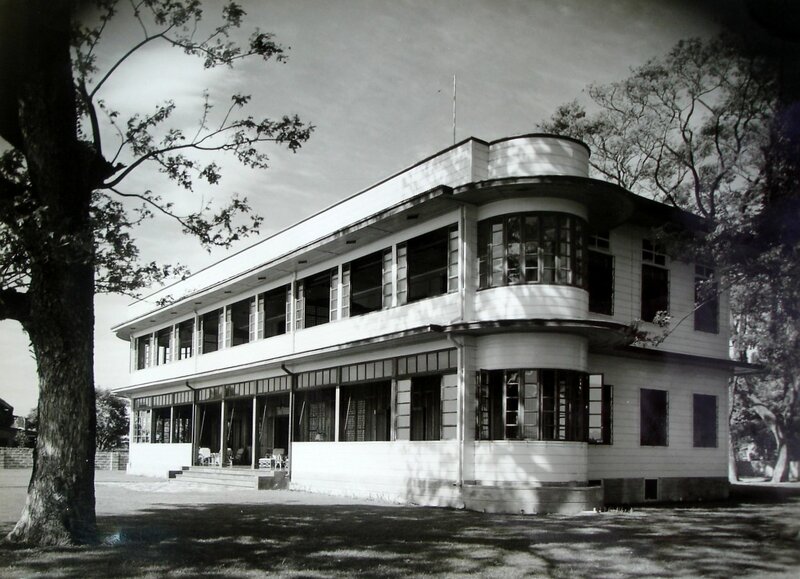 A site, of about 0.6 hectare, for a new residence was bought freehold in 1973 at Lots 18 and 19 (later 102 Cambridge Circle), North Forbes Park, Makati, for £86,000. A good new residence, designed by Ken Campbell of the British Property Services Agency, was completed on this site in 1981 at a cost of about £500,000. James Wynne’s sketch proposal for new residence, 1936. 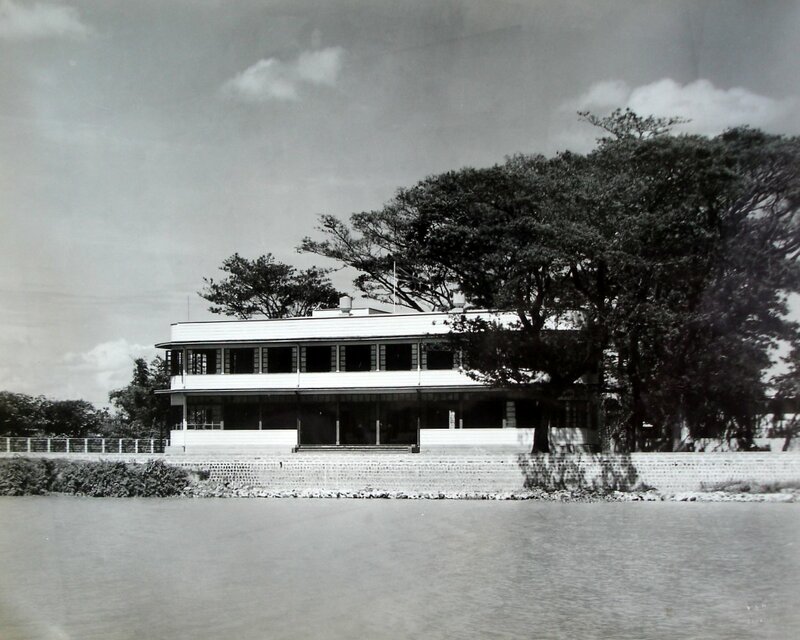 Consul-general’s new residence,from the river, 1938. 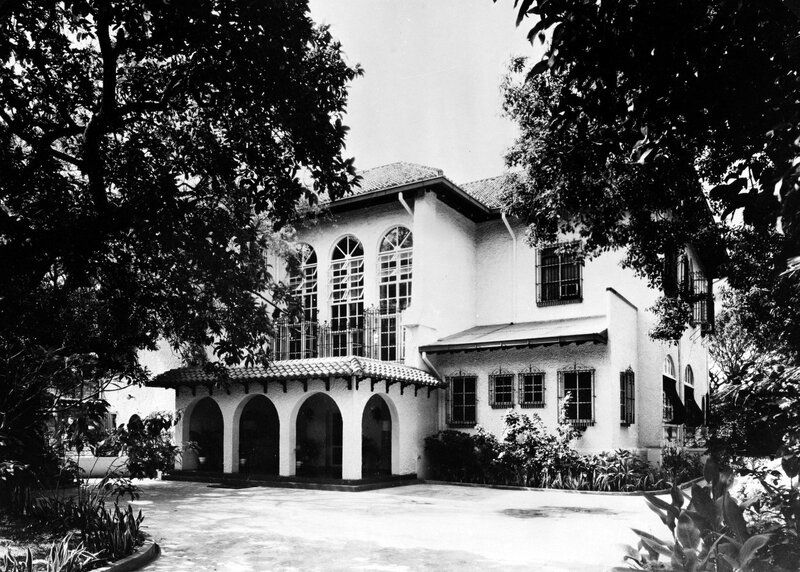 Entrance front of MH Del Pilar Street residence, 1976.